In the spirit of giving back to the community, we have planned our biggest giveaway campaign yet. 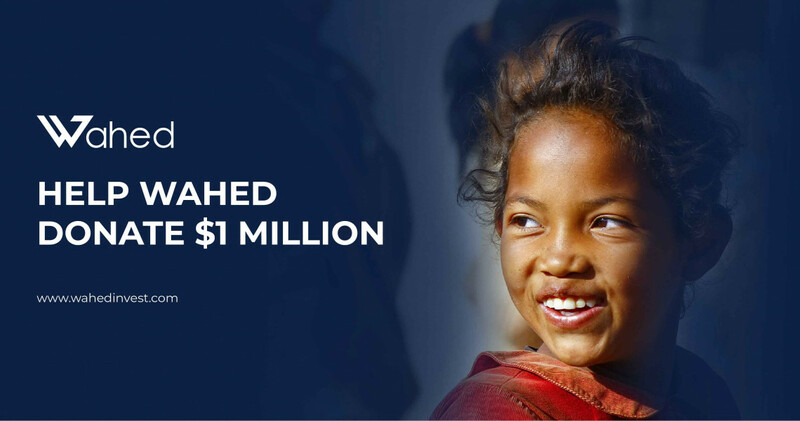 This Ramadan, we want to give 1 million dollars in donations! We invite you to be part of this campaign and help us fund the charities you are passionate about. Visit our Ramadan Campaign page: wahedinvest.com/ramadan and select your target charity. Complete the signup process and activate your account by following a few simple steps. Voila! your favorite charity is on its way to receiving $50. Take advantage of this unique way to help out this Ramadan and make a difference in someone’s life. Visit wahedinvest.com/ramadan today.